Canada’s favorite hard rock and heavy metal music festival, Heavy Montréal, has just released its lineup for its 2019 edition. The festival, which began more than a decade ago in 2008 is a premiere North American summer event for all rock and metal fans, and it has hosted more than 300,000 fans over the years. 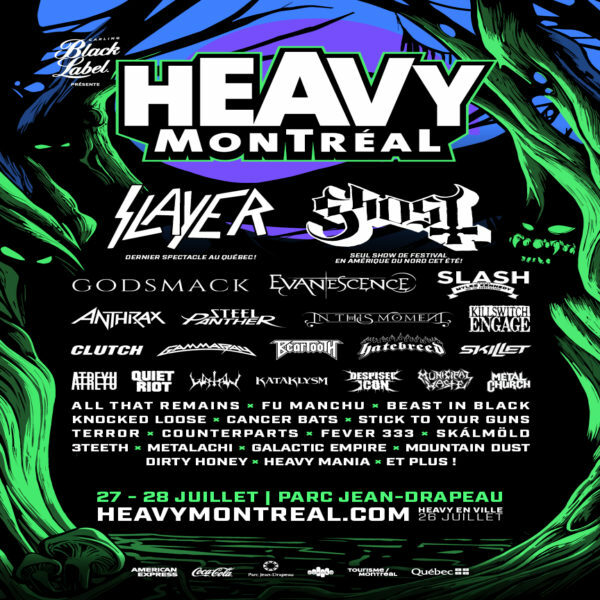 This year, Heavy Montréal will take place on July 27 and 28, at the Parc Jean-Drapeau in Montreal, Quebec, Canada. 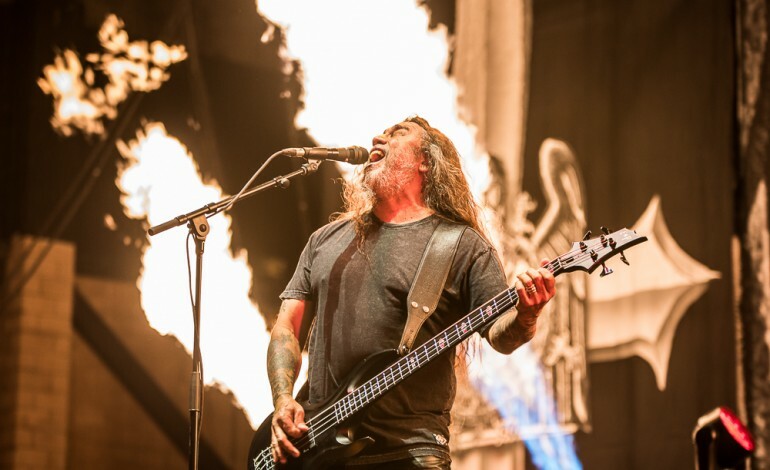 The festival will feature a lineup loaded with hard rock and metal greats like thrash metal legends Slayer, who announced their farewell tour in 2018 and will be playing its last Quebec show at the festival. They will be joined by Sweden’s Ghost, who are led by frontman Tobias Forge and are known for their elaborate masked performances. The lineup also includes Evanescence, who recently announced their Spring 2019 tour dates, and American rock greats Godsmack. As usual, Heavy Montréal’s lineup is stacked, making it the perfect summer destination for fans. Other notable acts include Anthrax, Killswitch Engage, Atreyu, Steel Panther, In This Moment, and the legendary Slash, who will feature Myles Kennedy and The Conspirators. Check out the full list of artists set to perform at Theprp.com.